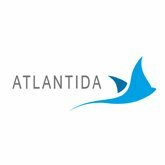 Atlantida Boeing Project | Red Skios LTD.
Atlantida is a project led by Boeing Research & Technology Europe, performing research on multiple fields on strategies for integration of UAVs (unmanned aerial vehicles) into air traffic management processes. They needed a support web portal allowing public and private communication services for company members of a European research team involved in the project. Skios developed a custom solution around ServEngine, Skios own JEE component library. Deployed in a mixed internal/external hosting environment.